We're focused on creating positive change with our sustainable products and eco-friendly practices so you can buy jewellery you're proud of wearing. From the high quality metals we use to craft our minimal jewellery to the packaging we wrap them up in, we're always striving for a better way of doing business–for you and the planet. We craft our jewellery from responsibly sourced materials from suppliers who provide us with Fairtrade metals including gold and sterling silver. Each piece of jewellery is crafted with obsessive attention to detail, specifically designed to be worn every day and cherished for years. Our materials are sustainable, our practices are responsible, and our quality is exceptional. We work with family-owned businesses and experts in the jewellery industry to ensure our jewellery is made in a clean and safe work environment with fair wages for workers. 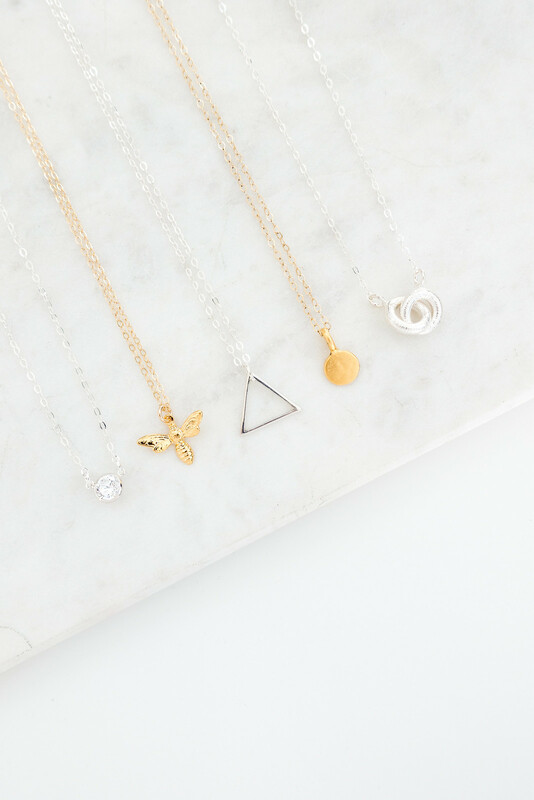 Our jewellery is made responsibly and produced in small quantities to reduce waste, allowing us to price our jewellery without the markups of mass-produced products. All of our packaging is 100% recycled and 100% recyclable. We choose environmentally friendly options for all our packaging including recycled card, unbleached boxes, acid free tissue paper, paper tape, and jewellery boxes made from recycled cardboard. In traditional retail, jewellery is marked up 8 to 10 times the actual cost. We do things differently. Made in the UK and sold directly to you from our studio; we’ve eliminated the costs of wholesale and retail markups, import expenses, middlemen costs, and designer inflation so we can pass those savings onto you without compromising on quality. Our prices are honest and fair, always.